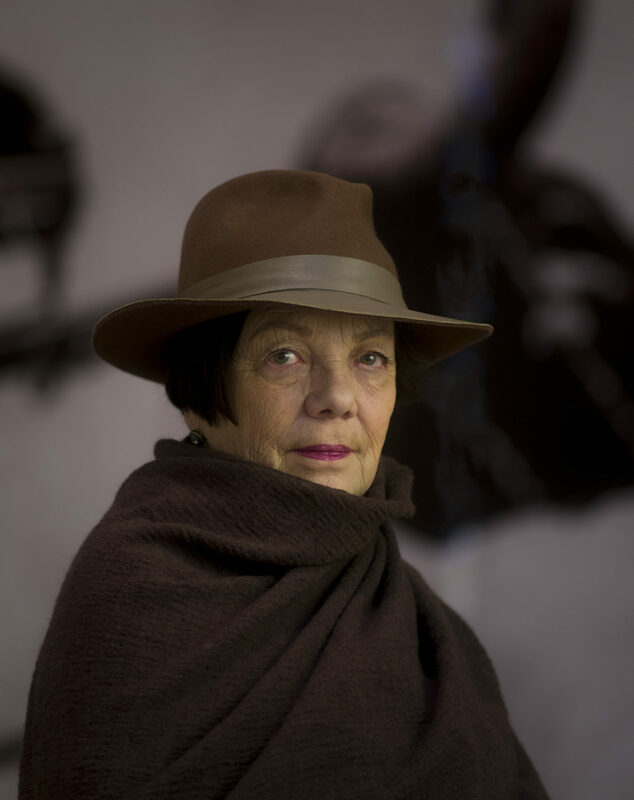 Famed Mexican photographer Graciela Iturbide says she sees with her eyes but photographs with her heart. 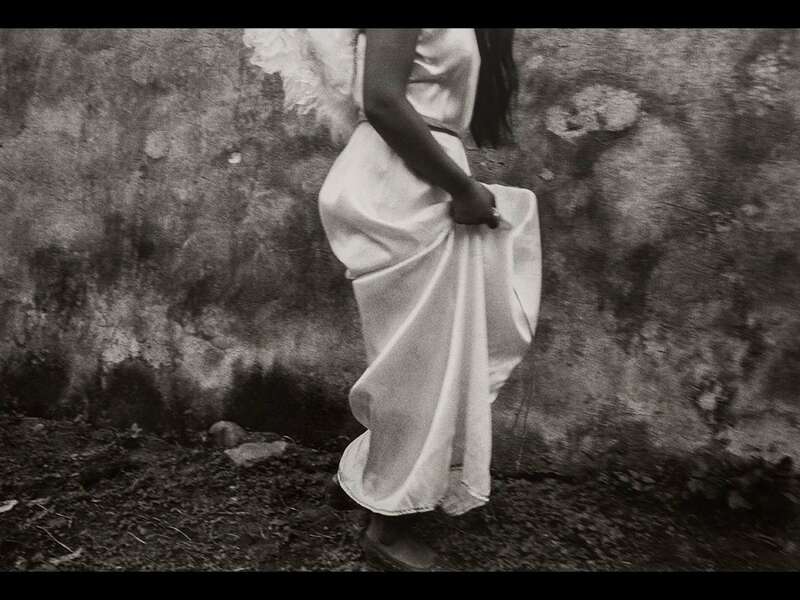 Indeed, her black and white photographs of Mexican quotidian scenes don't attempt to capture the realism of a moment. Hers is not an ethnographer's lens. 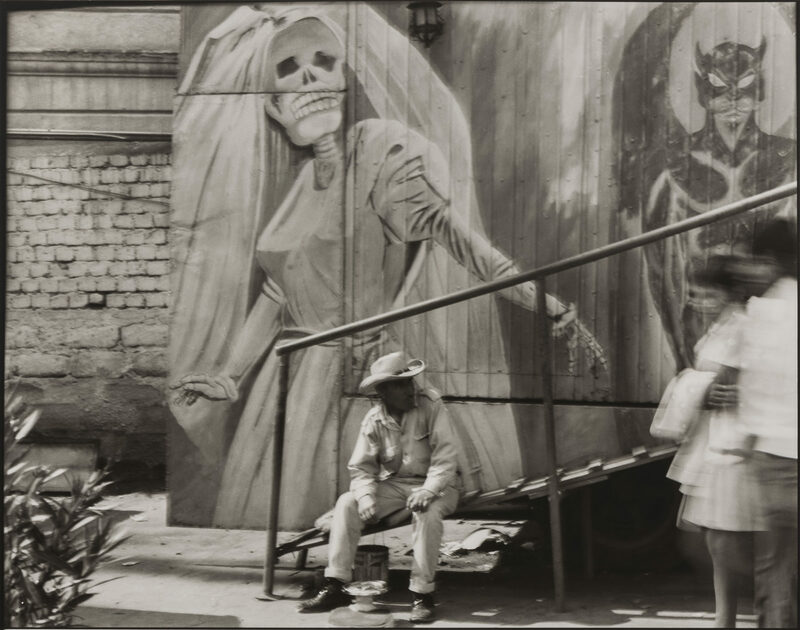 She captures something else entirely — the mythical symbols of Mexico in the pedestrian. It's as if everything — three mourning women clad in black, an indigenous man wearing a suit in the desert, a Mexican woman seemingly floating through the sierra holding a boombox — looks divine through Iturbide's lens. The irony of Iturbide's work is that she purposely shoots in black and white, she says, to elevate the realness of the moment. Color, she says "feels like Disneyland." And yet, her photos reveal more of a dream than reality. Or could it be that she captures the real-real: the chimeric, the whimsical, the mythic that is truer than what we see with our own eyes? Her current exhibition at the Museum of Fine Arts, which includes 37 photographs the museum acquired, is also a celebration of her early images: a body of work that feels mature and weighty, as if it belonged in the canon from inception. This is the first major East Coast presentation of Iturbide’s work, featuring approximately 125 photographs taken throughout her five-decade career. Iturbide didn't set out to become a photographer until her late 20s, married with children, when she finally took a leap of independence after being told by her pragmatic, middle-class family that art was not a viable path. That yearning is present even in her earliest of work. There's a hunger to understand her country, a longing to meditate on the places and people of her land, and, in turn, to know herself. Iturbide is not documenting for anyone's eyes. Her photos neglect any gaze. Instead they are wholly hers — a visual trace of her own wrestling with what it means to be Mexican. The exhibit at the MFA is divided thematically, from her time photographing The Seri, an indigenous community in the Sonoran Desert, to her fascination with death and fiestas, to a rumination on birds and Mexican plants, including the whimsical cactus. Mexico's founding myth revolves around the Aztecs' journey searching for an eagle perched on a prickly pear. In each of these themes, the draw is not only with the Mexican scenes, but with Iturbide's intuitive capturing of them. 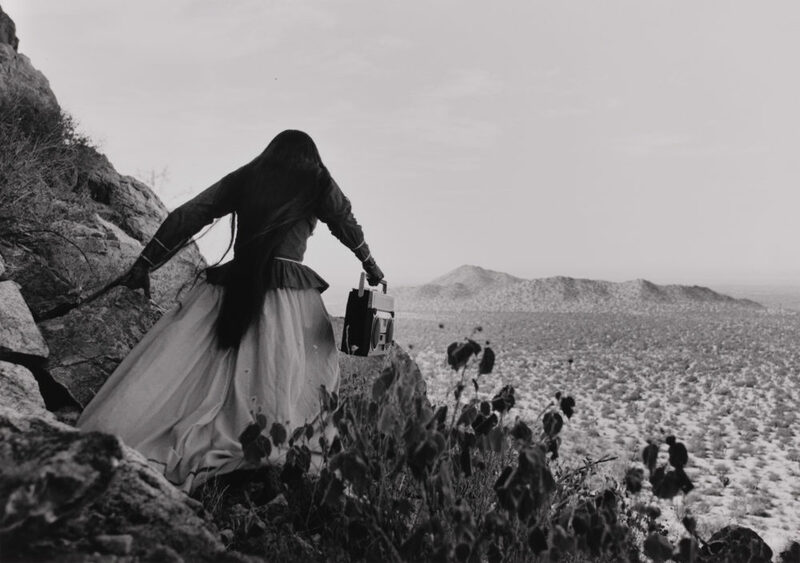 In one of her most famous photographs titled "Angel Woman," an indigenous woman holds a boombox as she seemingly floats through a desert sierra. Iturbide says she doesn't remember taking the photo and only discovered it later in her contact sheet. It was a gift from the desert, she says. That's not to say her photos lack technical brilliance. Her mentor Manuel Álvarez Bravo taught her to study paintings in order to become a great photographer. And it shows in the understated composition, the stark contrast and the sharp angles of her photographs. In one set of photos, Iturbide — commissioned to photograph Frida Kahlo's bathroom after it had been locked away 50 years after her death — captures Kahlo's leg and body braces as if they are dazzling sculptures floating elegantly on blank walls. The real allure for me in Iturbide's work is that the photos expose her — an artist who doesn't see herself as an artist. When I asked her what she thought about seeing her paintings in the gallery, she told me she thought it was a curious, strange sight. When the MFA Director Matthew Teitelbaum asked if she was an artist of Mexico or of the world, she quipped, "I'm not an artist. I'm a photographer." Her photos reveal the paradoxical nature of being Mexican — recognizing the colonizer and the colonized in one's heritage, accepting the modern with the pre-Hispanic, living with death. Many seasons ago, Iturbide became obsessed with photographing "angelitos," dead babies in coffins on their way to their burial. She'd lost her own daughter and photographing the young children was her way of untangling her grief. It was only after she encountered a rotting dead body that vultures had fed on out in the open at a cemetery that she stopped photographing the dead babies. It was as if death had told her: "You search for me. Here I am. Enough." The photo of the decomposing body is in a contact sheet on view at the MFA exhibit. How easily these photographs could be a spectacle, a macabre image piquing our darkest of curiosities. But in Iturbide's hands, they are tender and surreal. Though she'd resent me calling them surreal. 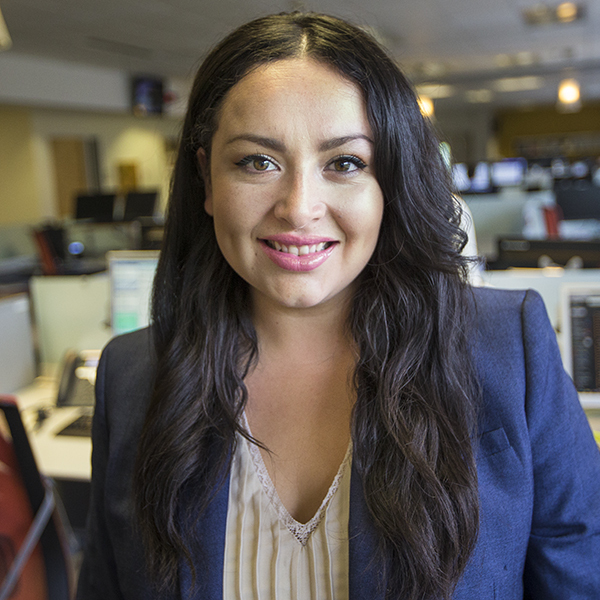 In an interview in our native tongue (I'm Mexican, too), she told me she was "fed up" with critics calling her work surreal. In Iturbide's images of death, one feels her urgent search for herself and her home. Her photos of Mexicans celebrating Dia De Los Muertos and other fiestas that revolve around death reveal a deeper ethos of the Mexican culture. Death is not something that happens at the end of life. It's an ever-present cloud, a silent companion, even a thing you celebrate, confront, play with, mourn before it happens. In Mexico, one lives with death. When I met with Iturbide, I was stricken with grief. My father unexpectedly died in an accident on New Year's Eve. I have no notions of an afterlife to hang on to. There is no hope in such profound loss. All I have is a deep, unescapable feeling that a part of me is gone — that I will live with this death inside of me forever. There is no belief system that I subscribe to that provides a silver lining. But I found solace for the first time in Iturbide's black and white world. There it was — death, so clear and present and somehow redeemed by its beauty. It was as if through her lens, I felt for the first time that hope came from a cultural lineage and the power of ritual and symbol. Of course, I can confront death. I'm Mexican. 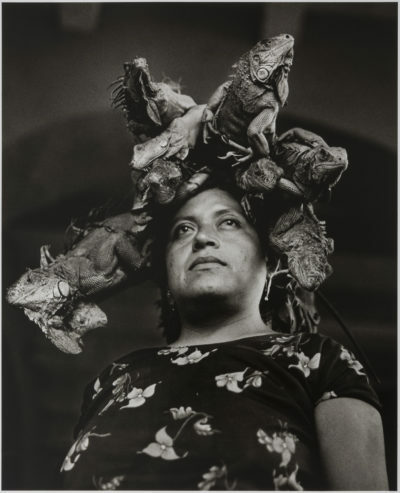 "Graciela Iturbide's Mexico" is on view at the Museum of Fine Arts, Boston through May 12. This segment aired on January 24, 2019.